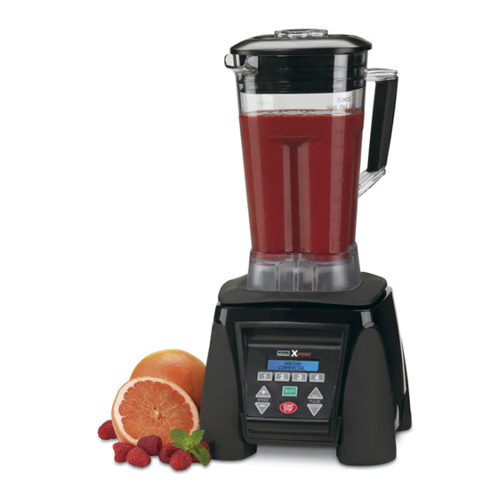 The Waring Commercial Blender MX1300XTX has amazing power for the price tag. It was designed with a heavy-duty 45,000 RPM Motor and a 3.5 peak-input HP, which will produce enough power to complete just about any blending task. Waring Commercial has recently updated this model from the MX1300XT to the MX1300XTX. The difference is the new remodeled blender jar, The Raptor, which has an ultra-aggressive blade and jar design which delivers smoother consistencies and faster results. 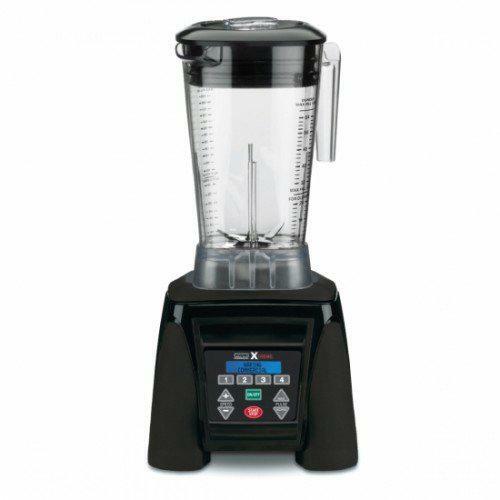 This Commercial Waring Blender is at least 15-20% more quiet than other blenders in its class. If your on a tight budget and can't pay premium price for the high end Blendtec or Vitamix blenders this Waring Commercial Blender is the perfect option for you. Heavy-duty 3.5 HP Motor 45,000+ bare motor RPM's. Perfect for soups, salsas, sauces, desserts, dressings and more. LCD display with blue backlight for easy viewing and program selection. Daily and total drink counter display. Dual PULSE feature with reprogrammable speed control. New "The Raptor" 64 oz. stackable BPA-Free copolyester Blender Jar container.